Have the kids help you whip up dinner tonight with this easy Italian recipe. Top your favorite pasta with a simple Caprese sauce of fresh mozzarella, tomatoes, and basil. Dinner’s ready! 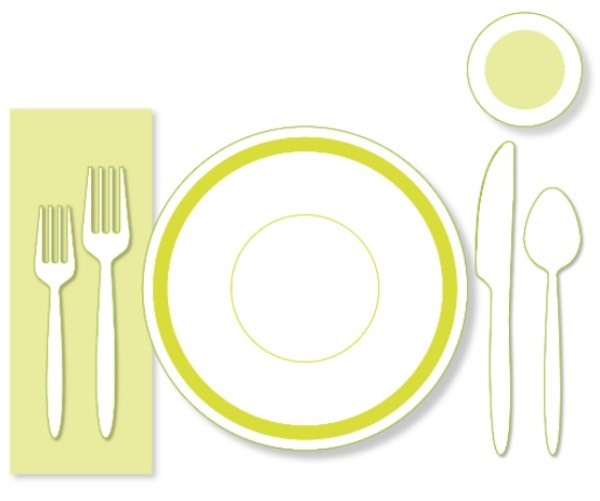 It’s Your Turn to Set the Table! When it’s time for dinner, be sure to get the kids to help set the table, And if they mix up where the forks and spoons go, print out this handy cheat sheet and post it near the table for all to see. New Single Kit in Store: Taco Truck Fun! 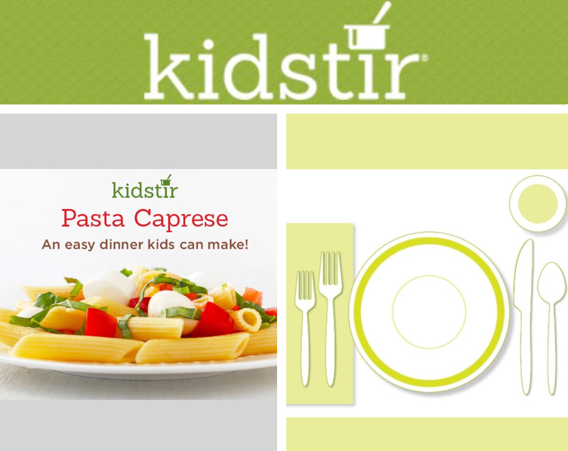 Did your little chef have a blast cooking a complete meal this month? Then we’ve got great news to share! 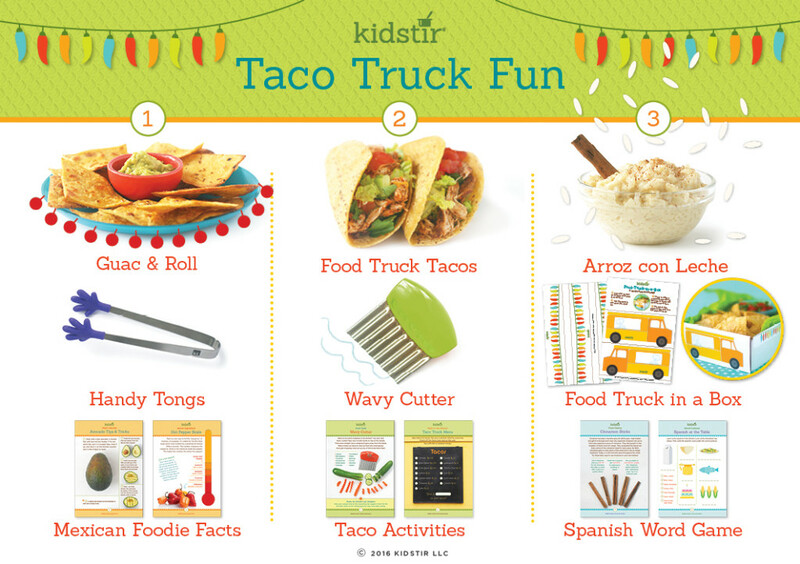 Our hugely popular Taco Truck Fun kit is now available in our Store as a single kit! Pick it up to enhance your cookbook collection or get it as a gift for a friend (no subscription required)! Get ready to Guac ‘n Roll!